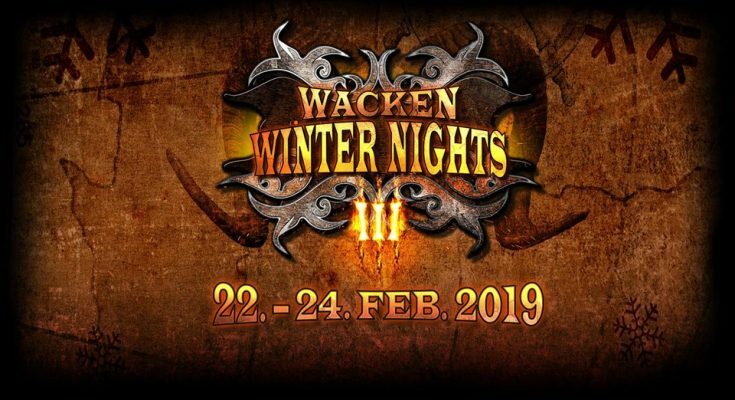 The third edition of Wacken Winter Nights took place from the 22nd until 24th of February in Wacken. 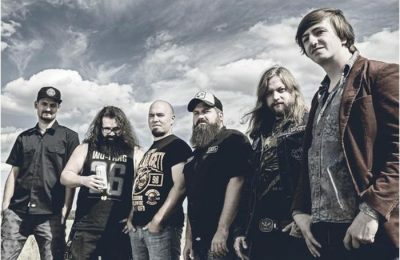 Wacken? 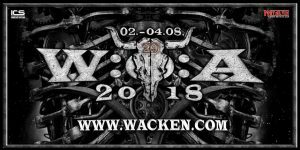 Yes, of course we already know Wacken for the massive summer festival. 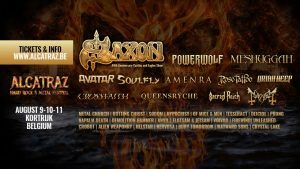 But after Full:Metal:Mountain, starting 2017 they also have a winter edition of the festival in the village of Wacken itself. 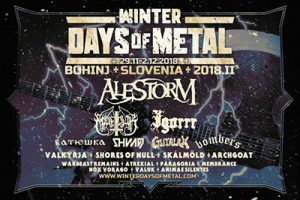 And since we, grim and frostbitten metalheads, can really dig a winter festival (cf. 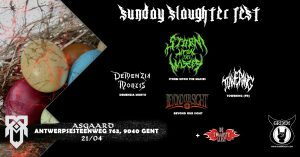 Eindhoven Metal Meeting, Winter Days of Metal), we checked this one out too!  Here’s what we experienced. 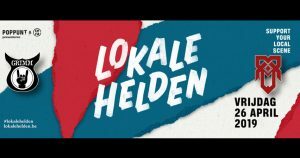 Winter is here! 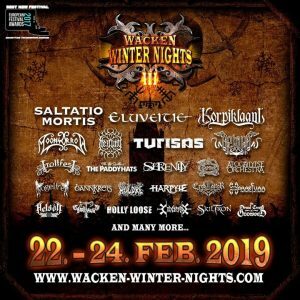 For the people who already went to Wacken Open Air: imagine a winter edition of the Wackinger Village part. 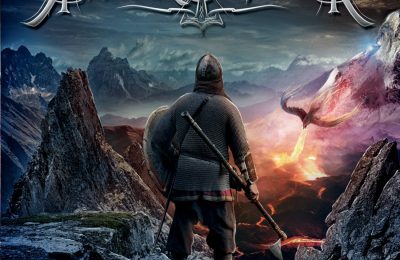 It’s a unique concept that combines medieval themes and markets with fantasy, folk, pagan, viking, rock, metal and more. 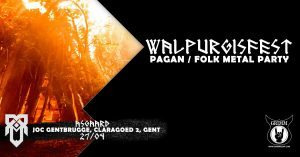 You can immerse yourself in a long forgotten age and experience different magical theme worlds with their very own stages, which we will explain later in this review, and enjoy intimate concerts around warming campfires. 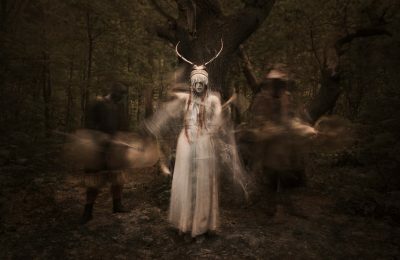 Furthermore you can stroll around the folk/metal market, take part in several workshops, and see craftsmen displaying their skills or bargain for goods. And of course enjoy the gastronomically top class medieval treats! 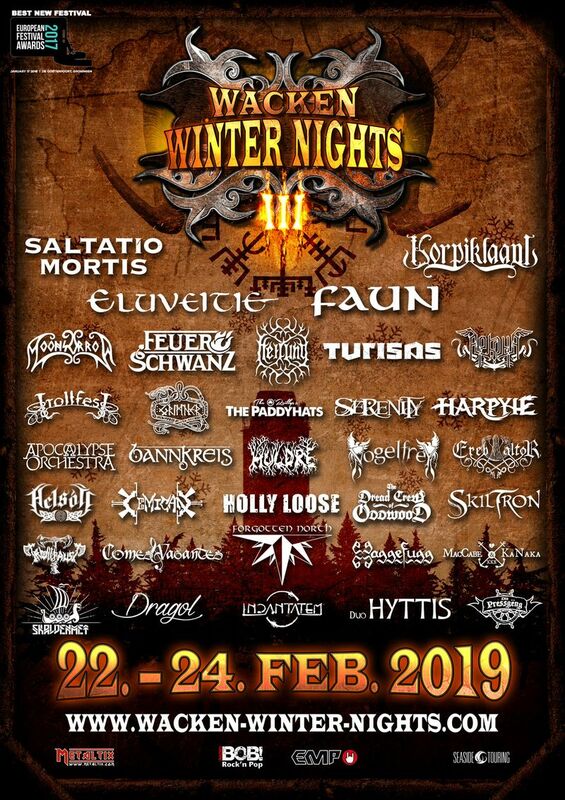 Pictures & videos by Wacken Winter Nights.